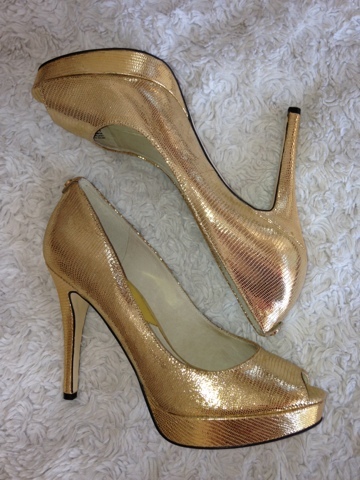 I'm so happy with my new Michael Kors shoes, York metallic leather pumps. My first golden shoes. I might take them out for a walk tonight along with my new Zarita dress from Diane von Furstenberg that I wrote about before. :) Part of my big shopping spree at Outnet.